AMD's RYZEN Outshines Intel's Best In 7 Different Benchmarks & Demos - New Horizon Recap, AMD Is Back! AMD’s RYZEN Outshines Intel’s Best In 7 Different Benchmarks & Demos – New Horizon Recap, AMD Is Back! AMD’s big Zen preview event “New Horizon” was last night and it was chalk-full of extremely impressive performance demonstrations. President and CEO Lisa Su took the stage to wow the audience with one demo after the other, showcasing what Zen is truly capable of in a wide range of applications from gaming to streaming, rendering and video transcoding. 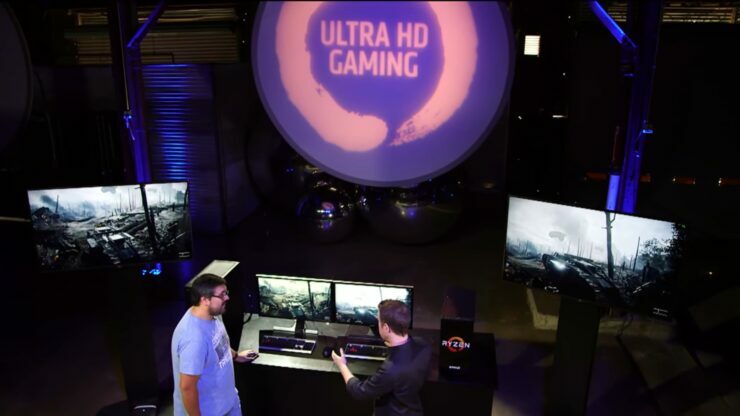 In case you missed it you can find our detailed coverage of RYZEN here, and a recording of the livestream here. 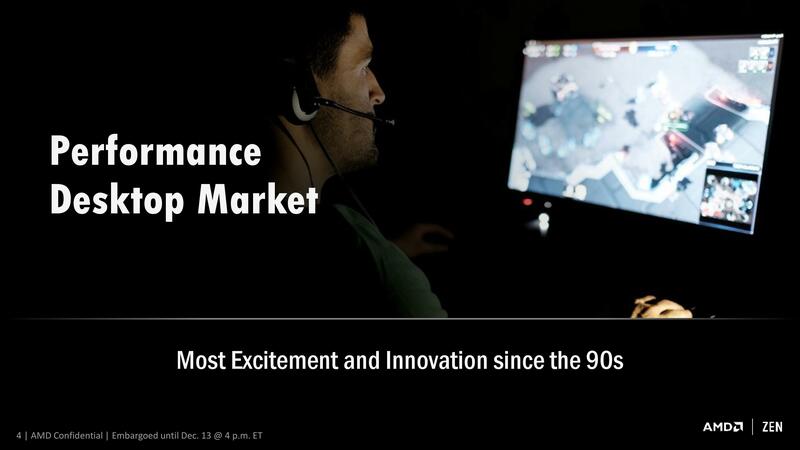 In this article we’re going to recap key announcements and break-down every one of those 7 benchmarks and demos that were part of yesterday’s showcase for AMD’s next generation RYZEN CPUs. Let’s start with the basics. 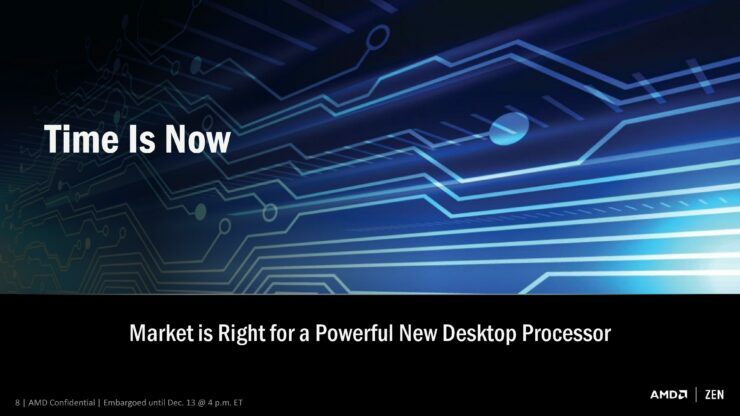 AMD made several key announcements yesterday regarding its next generation desktop family of CPUs based on the Zen microarchitecture. RYZEN CPUs will officially launch in the first quarter of next year, before April 2017. RYZEN CPUs will be compatible with AMD’s next generation AM4 desktop platform. 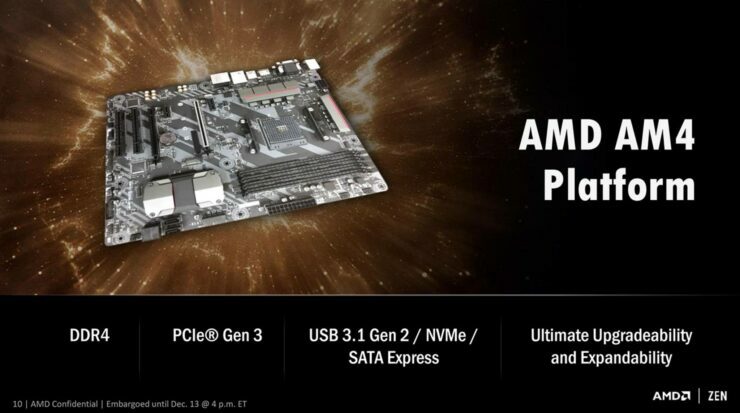 The AM4 paltform features DDR4 memory support, PCIE Gen 3, USB 3.1 Gen 2, NVMe and SATA Express. RYZEN CPUs will feature up to 8 Zen cores and are capable of executing up to 16 threads simulatneously. 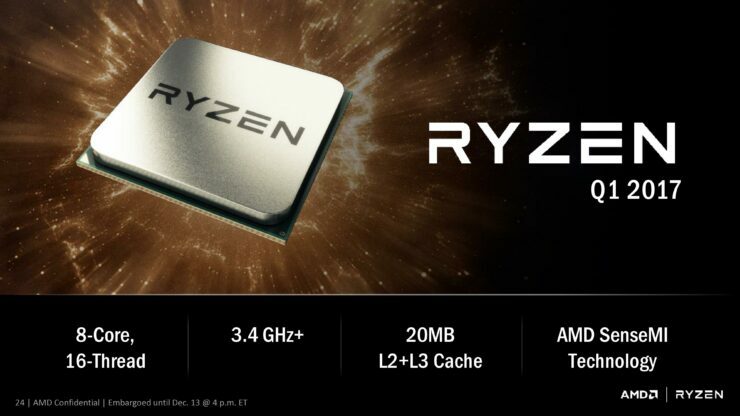 All RYZEN CPUs will feature a base clock of 3.4Ghz or higher at launch. The 8 core, 16 thread RYZEN CPU has a TDP of 95 watts, 45 watts less than its direct Intel competitor. The 8 core 16 thread RYZEN CPU competes with Intel’s fastest 8 core 16 thread offering, the $1199 Broadwell-E. i7 6900K, in terms of features and performance and exceeds it in power efficiency. RYZEN CPUs automatically overclock themselves to deliver the highest possible clock speed attainable under any cooling condition. 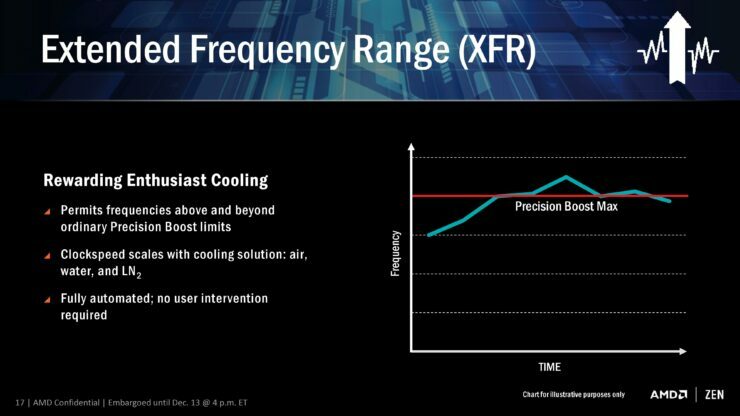 Including LN2, liquid and air cooling. 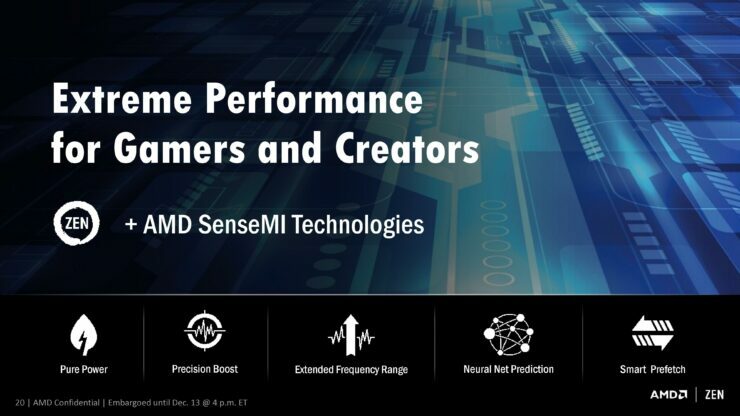 RYZEN CPUs have hundreds of integrated sensors that monitor a plethora of parameters from temperatures to voltages and cache traffic. 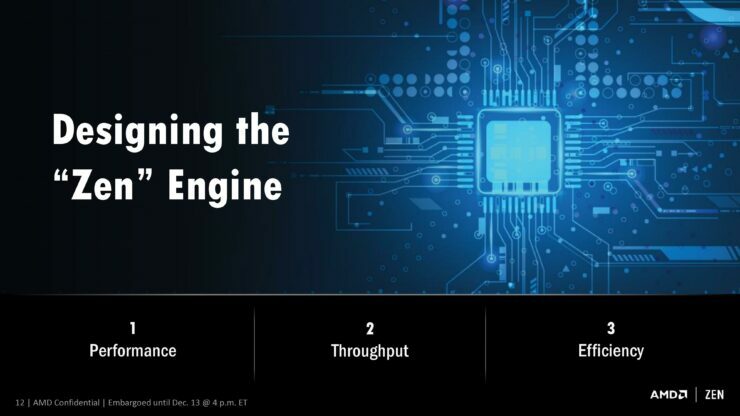 RYZEN CPUs have a sophisticated AI framework, making them capable of learning on the fly via a built-in neural net that self-trains and adapts to different applications and sets of code. First up we have Blender, a limitlessly popular CPU renderer. At New Horizon, two identically specced PCs one equipped with an 8 core, 16 thread RYZEN CPU and the other with an 8 core, 16 thread Intel Core i7 6900K CPU were put in a head-to-head comparison. The test itself was simply the task of rendering an image of the physical RYZEN chip. This workload is very similar to that of Maxon’s popular Cinebench CPU benchmark. The RYZEN CPU was operating at a fixed frequency of 3.4Ghz, with boost disabled. The Core i7 6900K was operating at its default clock speeds, 3.2Ghz base and 3.7Ghz Turbo Boost. 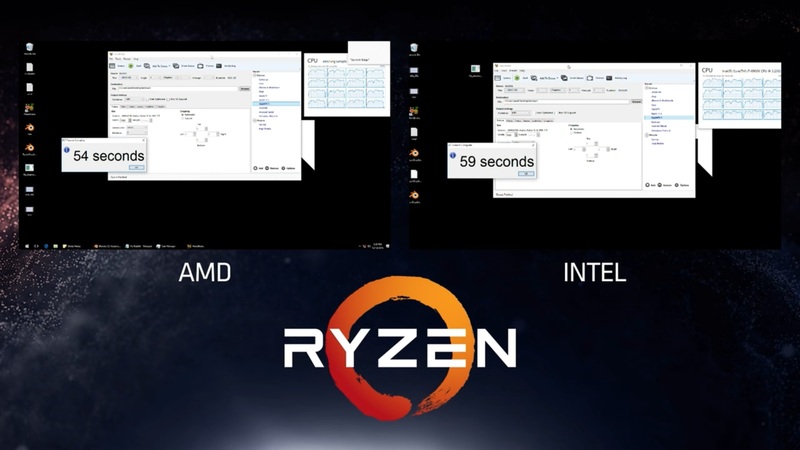 The RYZEN CPU was able to finish the task in 35.57 seconds, while the 6900K was able to do it in 36.01 seconds, roughly half a second more or what’s equivalent to 1.3%. 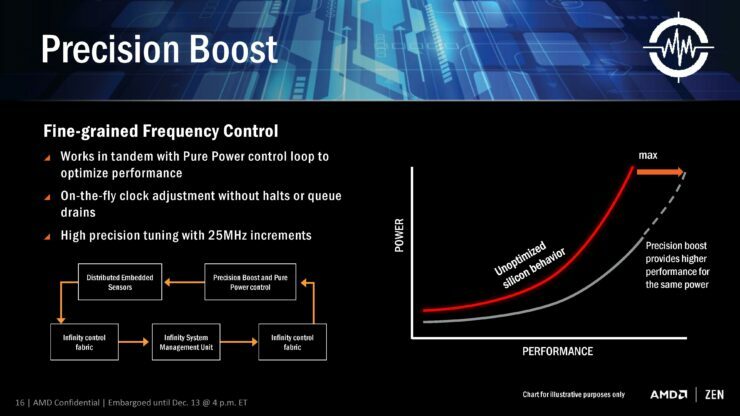 For a 95 CPU going up against a 140W chip this is impressive. HandBrake is an open-source video transcoding tool that enables users to convert video files from nearly any format to a selection of modern widely supported codecs. It’s available for free on Windows, Mac and Ubuntu. You can download it directly from the handbrake website, here. For this demo again, two identically specced machines were used. One with an 8 core 16 thread RYZEN CPU running at 3.4Ghz and one with an Intel Core i7 6900K. 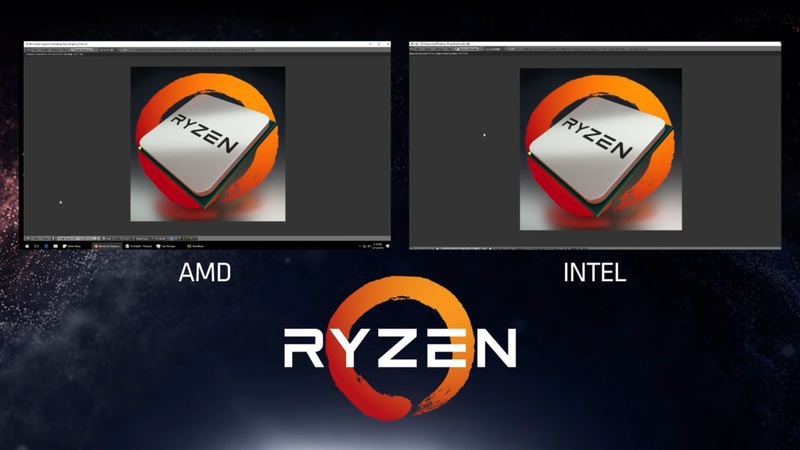 Both PCs were tasked with transcoding the RYZEN announcement video. This is an extremely CPU intensive workload and all 8 cores and 16 threads of both chips were pegged at 100% usage the whole time. The 6900K finished the task in 59 seconds, whilst RYZEN did it in 54 seconds. Five seconds faster, or what’s roughly equivalent to 10%. In this demo AMD’s James Prior fired up Battlefield 1 running at 4K with all graphics settings cranked up to the max. Here the two identically specced demo systems were equipped with an Nvidia GTX Titan X Pascal each, the fastest gaming graphics card available on the market today. This was meant to be the ultimate gaming showcase to demonstrate that RYZEN can happily keep up with the fastest GPU on the market without any hint of bottlenecking. The demo involved a short real-time playthrough of a Battlefield 1 mission. The same 8 core, 16 thread 3.4Ghz RYZEN chip was put in a head-to-head comparison with Intel’s i7 6900K. A framerate counter at the upper right hand corner of the screen reported the average framerate output of both systems in real-time. RYZEN maintained a small performance lead throughout this demo. 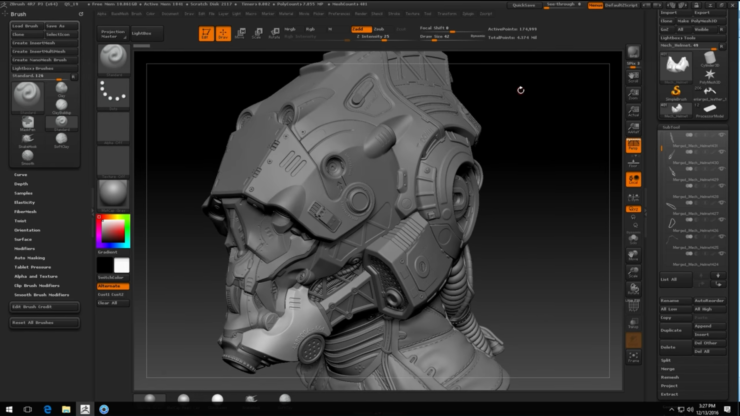 Mike showcased some of the concept 3D art that he’s working on which included a 25 million polygon character, rendered in real-time just on the CPU. He then threw a character model along with a 3D rendered RYZEN chip into a scene inside Key Shot. 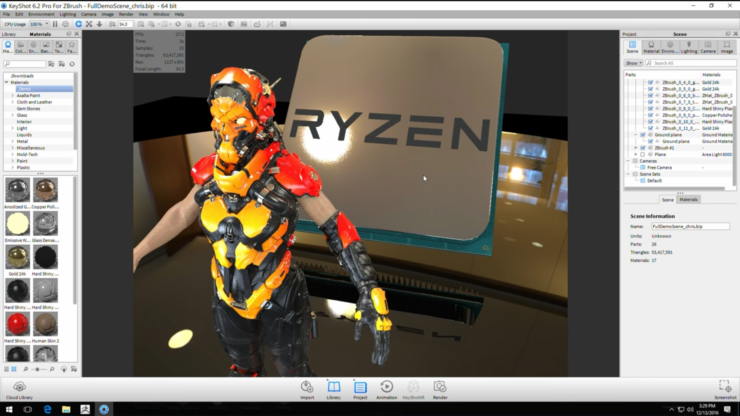 A real-time CPU renderer that features real-life ray-tracing based lighting, scientific physically based shaders and High Dynamic Range color. Here RYZEN rendered a scene with 53 million polygons, realistic lighting and scientific based reflections in near real-time with no visible lag and without a hitch. This demo was a perfect example of how IPC alone isn’t enough and why 8 cores will always trump 4 cores. Here three identically specced PCs were put in a head-to-head comparison playing Dota whilst streaming it live on twitch. 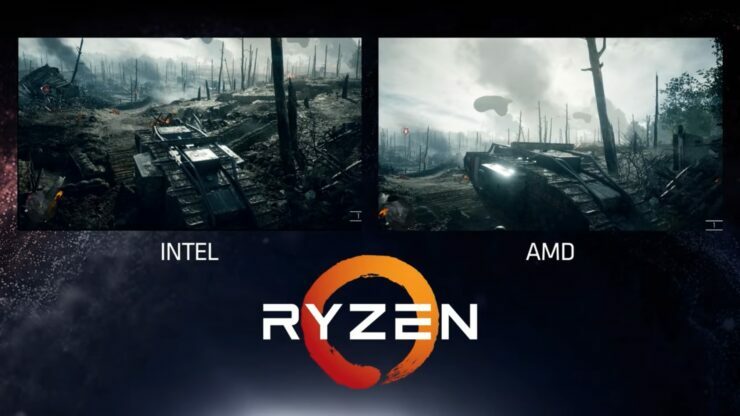 One system was equipped with the same 8 core RYZEN chip as before, one with an i7 6900K and the 3rd with an i7 6700K quad core, eight thread CPU overclocked to 4.5Ghz. The RYZEN and i7 6900K machines passed with flying colors. The gameplay was smooth and the stream had no dropped frames what so ever. The i7 6700K, even at 4.5Ghz, ran the game just fine but struggled to actually stream the gameplay. Nearly every other frame was being dropped. It genuinely looked like a fast-forwarded slide-show. Finally, we come to our very last performance demo and the only one involving the company’s upcoming ultra enthusiast Radeon graphics card featuring the VEGA architecture. Here a system equipped with RYZEN and a single VEGA graphics card was showcased running Star Wars Battlefront in 4K at 60+ frames per second. This is the very same gaming VEGA Radeon graphics card that was demoed a couple of days outperforming Nvidia’s GTX 1080 running DOOM in 4K. 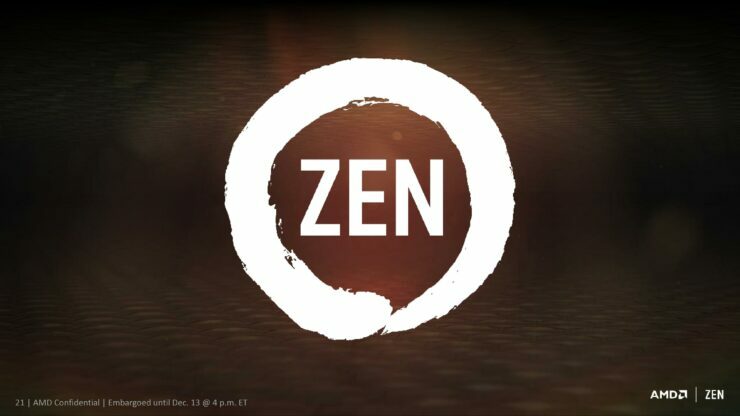 Zen has been one of AMD’s most eagerly anticipated products and arguably its most important one in a decade. Zen breaks new ground for the Sunnyvale California based chip maker in many ways. 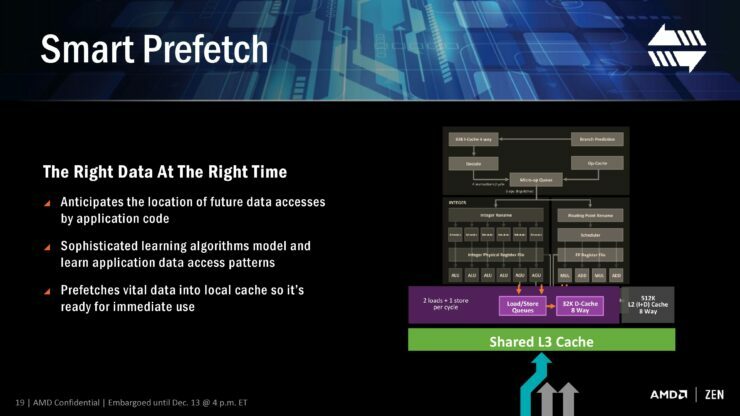 It’s the company’s first ever CPU microarchitecture to feature simultaneous multithreading. It’s built on a process technology that’s as close as ever to parity with Intel since the days of the original Athlon in the early 2000s. This fact alone is enormous. 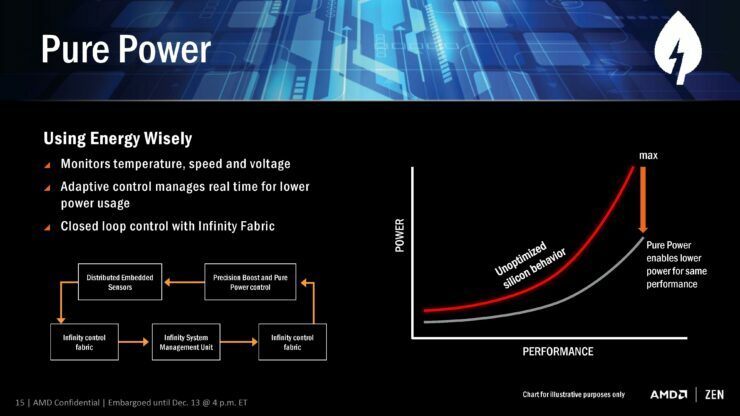 It means that for the very first time in a decade AMD’s CPUs won’t be at an inherent disadvantage to Intel’s process lead. From an architectural point of view Zen is also quite revolutionary. It incorporates artificial intelligence and machine learning techniques on a chip-level in a way that’s unprecedented in the x86 CPU industry. Its brand new clean-slate core design has been headed from the get-go by accomplished CPU architect Jim Keller.The very same man who brought us the original Athlon XP and the very first 64-bit x86 CPU, the Athlon64. Both were and remain the most successful and most competitive CPUs in the history of the company. 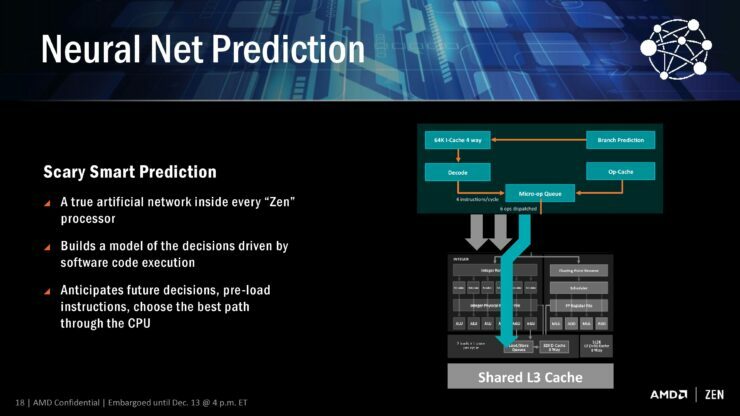 It’s without a doubt that Zen is AMD’s biggest long-term technology bet and one of the largest engineering efforts undertaken by it to date. At CES 2016, nearly a year go, President and CEO Lisa Su stood on stage and said she strongly believes that by the same time next year at CES 2017 everyone will say “AMD is back!”. Well I don’t need to wait until January, I can say it right now without hesitation. 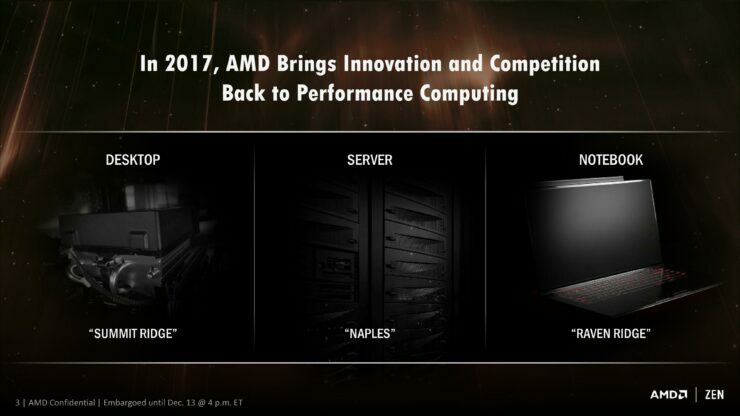 AMD really is back folks.